Those who are worried about the water crisis in Cape Town will be pleased to hear that Day Zero (the projected date when the city would cut the supply of water to its citizens) will not take place this year - welcome news for both travellers and locals. 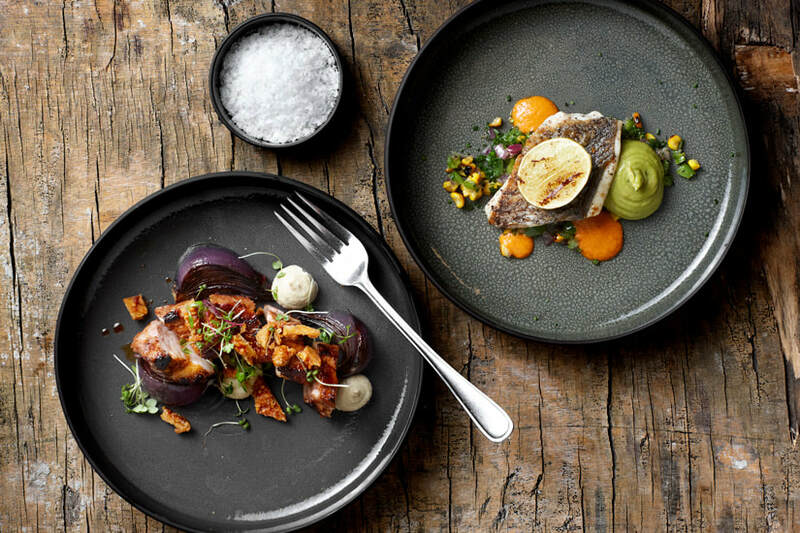 ​When considering the reasons why people visit Cape Town, many think of it as a top destination for Oenophiles (that’s wine lovers to the uninitiated), but there is also a foodie revolution going on in the metropolis. Bree Street, dubbed Cape Town’s coolest restaurant strip, is where foodies in the know are heading. To get the inside track on the Bree Street food scene, we caught up with the team at travel agency Acacia Africa, who have offices in Cape Town, for their recommendations on the top 10 eateries in this new foodie hotspot. La Parada's amazing vibe comes a close second to the tapas served at the restaurant. If you’re a seafood lover, the seared sesame crusted tuna and prawn croquettes get top billing but arrive early if you want to experience the menu at sundown as you’ll be hard-pressed to find a seat. Oysters and bubbly anyone? Seabreeze Fish & Shell is one of the best places to down both, and if you’re a die-hard fish and chips fan or have yet to be converted, this is the place to get stuck in. With its wooden Mother Earth vibe, it’s fitting that the Elixir Cafe is vegan-friendly. Its organic, preservative free and gluten-free options are thoughtful nods to the growing plant-based food movement and the homemade milk alternatives (such as almond, cashew, hemp, oat and coconut milk) will really get you enthused about living and eating more consciously. Not cheap, but the menu is progressive and the Organic Vegan Roti and Chocolate Smoothie should be on your “to go” list. Cooking from the screen to the streets, The Hot Skillet is run by former My Kitchen Rules SA finalists Gomotsegang Modiselle and Oginga Siwundla. 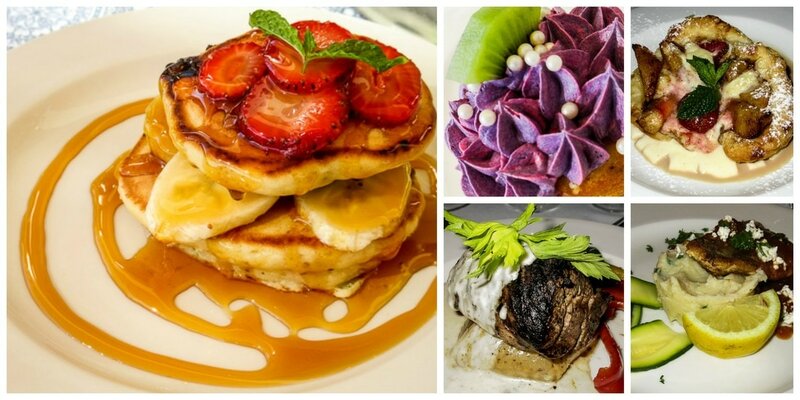 You can expect a distinctly South African flavour in their dishes and their breakfast is “to get up for,” Eggs Benedict, Banger and Egg Sandwich and Cornflake Crusted Cinnamon French Toast on the mouth-watering menu. Every Friday is Braai Day, but housed inside The Young Blood Gallery, which exhibits incredible art from local artists, any day will be food for the soul. When you find out Bowls on Bree uses sustainably sourced ingredients, you know you’re on to a good thing. Their dishes are jam-packed with either trout, tofu or chicken - the added grains, greens and dressings ensuring you feel good from the inside-out! Described as a “wedge of fabulousness,” Culture Club Cheese is the place to dig into if you’re a fan of all things well, cheese - 80% of which is locally sourced. Toasted sandwiches which are literally drowning in toppings; healthy salads for the calorie counters amongst us, cheese platters, omelettes and more will have you seeing cheese in a brand new light. The owner, Luke (a cheesemaker, monger and affineur from the UK) is impressively passionate about his offerings and there are many different flavours to be explored. Try the delicious tapas or even a camembert mac ‘n cheese. If you want to eat the whole beast head for La Tete. Chef Giles Edwards’ offal menu draws on dishes from the famous London restaurant St. Johns - where he worked previously - with a dash of South Africa thrown in. There are plenty of seafood options if you’re not big on meat and you can expect a varied menu on each visit as the menu is dependent on what's available locally. If you’re always left salivating when pork is on the menu, try Bacon on Bree, an upmarket 'baconporium.' Chow down on everything from bacon-and-brie croissants to baguettes topped with roasted tomato, bacon and brie. 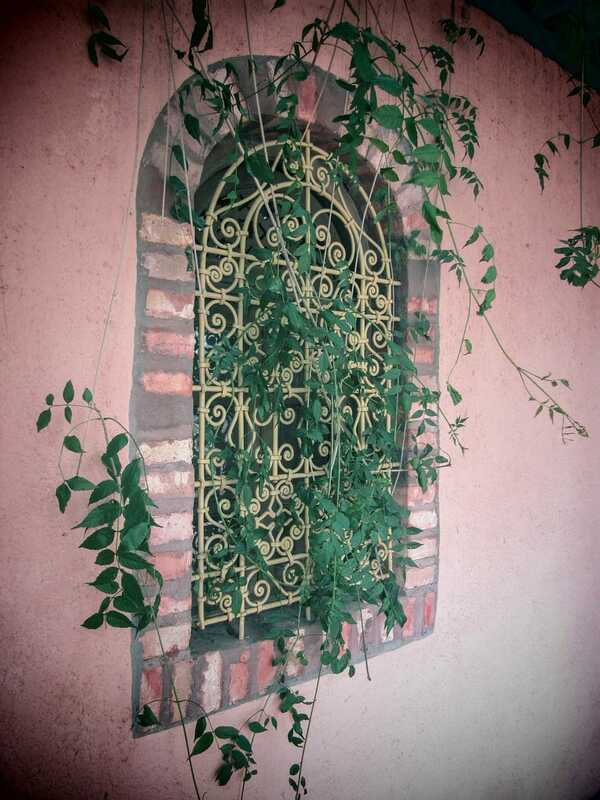 It has a relaxed ambience and checking out the secret courtyard is a must. 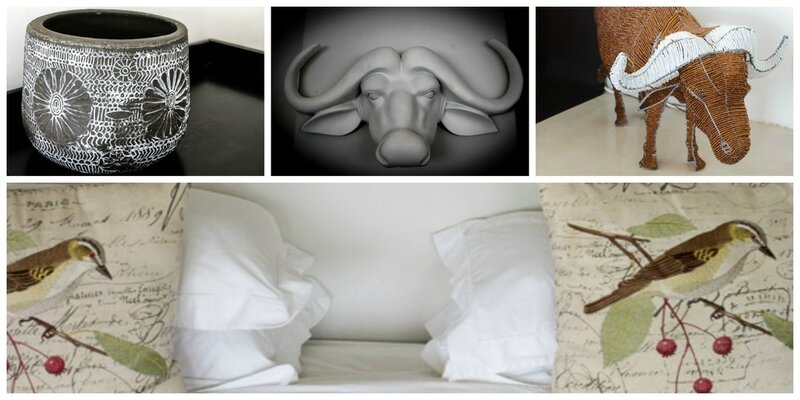 Why settle for a coffee to go when you could stay and sip on your latte in an art gallery? At “Red! 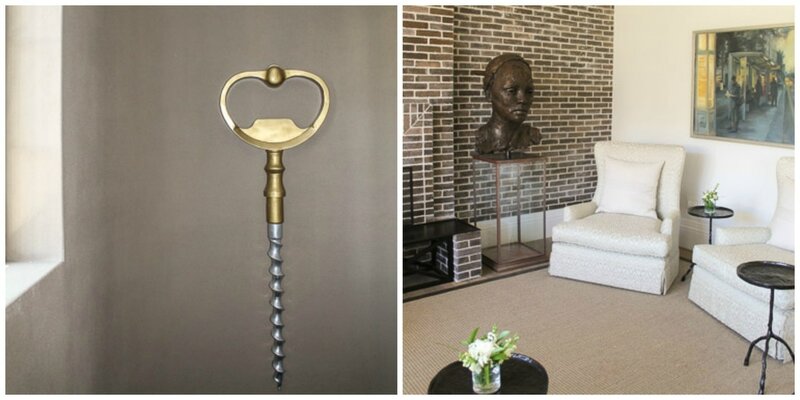 The Gallery,” it’s all about appreciating South Africa’s best and emerging artists. Breakfast here will really fuel the imagination. Go for the campfire breakfast – three eggs cooked in onion, tomato and chillies all topped off with cheddar cheese. 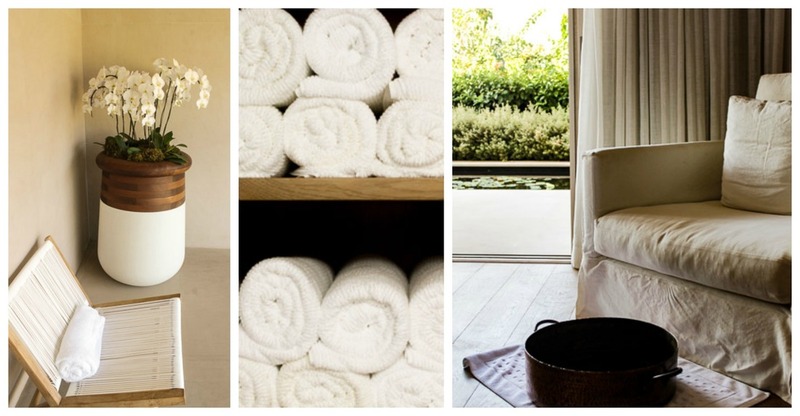 Set amongst the vineyards of Leeu Estates, a breathtakingly beautiful wine estate featuring luxuriously appointed spacious rooms and suites in the Franschhoek region of South Africa, you’ll find The Spa at Leeu Estates. 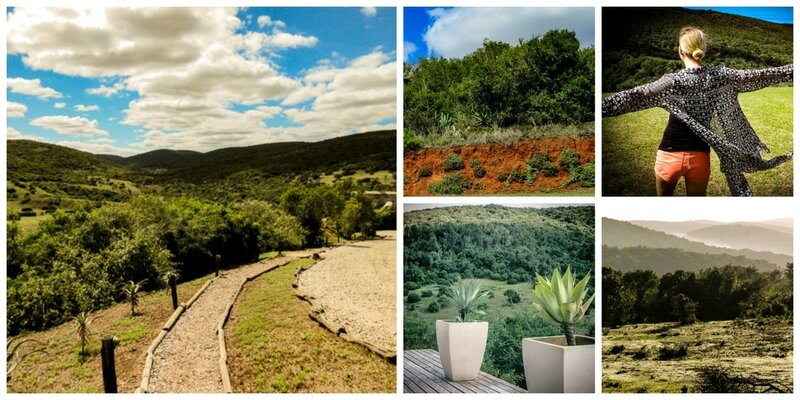 ​This gorgeous wellness sanctuary is a little slice of heaven in the Cape Winelands, a must for frazzled people looking to restore their vitality or ease their strains and stresses. Whatever your need in the department of wellness and pampering, you’re certain to find it here. 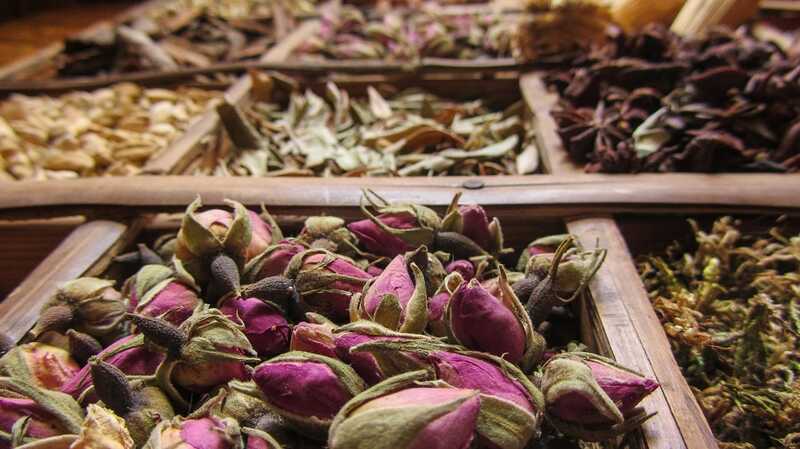 The spa focuses on hand-picked treatments inspired by centuries-old Asian traditions. The only ila spa in the region, they offer a wide range of products from this ‘beyond organic’ luxury skincare and spa brand. Using wild-harvested organic ingredients from remote, untainted regions such as the Amazon rain forest and the Himalayas, the hand-blended ila product range, which is utilised in the treatments, harnesses natural healing energy. 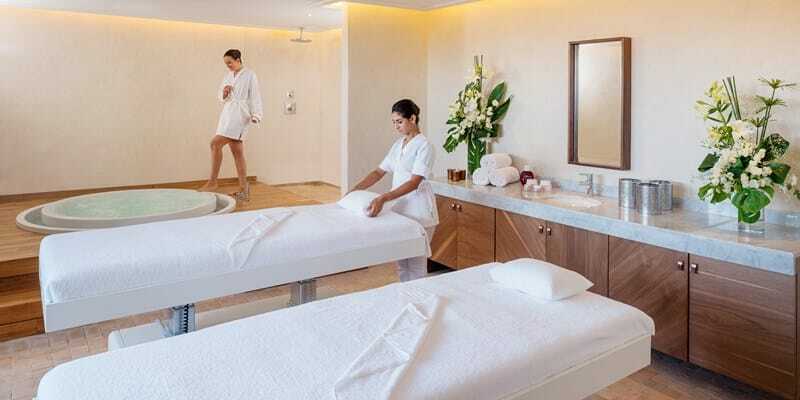 ​Spa treatments on offer include facials (for men and women), a variety of massages, reflexology, body wraps and scrubs, chakra treatments and a variety of beauty treatments including eyelash/eyebrow tints, waxing, manicures, pedicures, and hairdressing. There are also a variety of male grooming treatments for the dapper chap. Depending on which treatments you select, prices range from R150 and go up to R1000. I started my spa day with a back and neck message. At the start of the treatment, the therapist gave me a ritual foot cleansing treatment and I then hopped on to the bed for a 60-minute massage. The treatment rooms all boast fabulous views, making the experience even more magical. ​Afterwards, I felt incredibly relaxed and I made my way to the tranquil plunge pool, which had views of lily pads and the mountains in the distance, giving the impression that I’d stepped into one of Monet’s water lilies paintings. ​After a while on my own, I decided to re-join my husband, who had been taking advantage of the glorious sunny day stretched out on a sun lounger next to the infinity pool overlooking the vines. The setting really was idyllic and we felt truly spoilt as we basked in the rays. Everything is thought through here, including the selection of complimentary sunblock in a basket near the pool (trust us, you’ll need it). As we laid by the pool, the only sound we heard was the gentle lapping of water falling over the side of the pool and a breeze whispering through the vines. 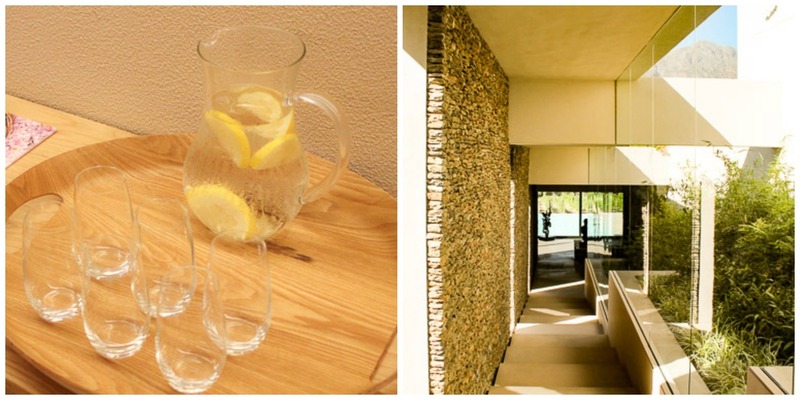 The décor here is contemporary chic, with lots of stylish stone walls, chic white sofas which are perfect for lounging on and thick stuffed arm chairs screaming out for you to settle in with a magazine and enjoy an herbal tea or a chilled glass of water with lemon. 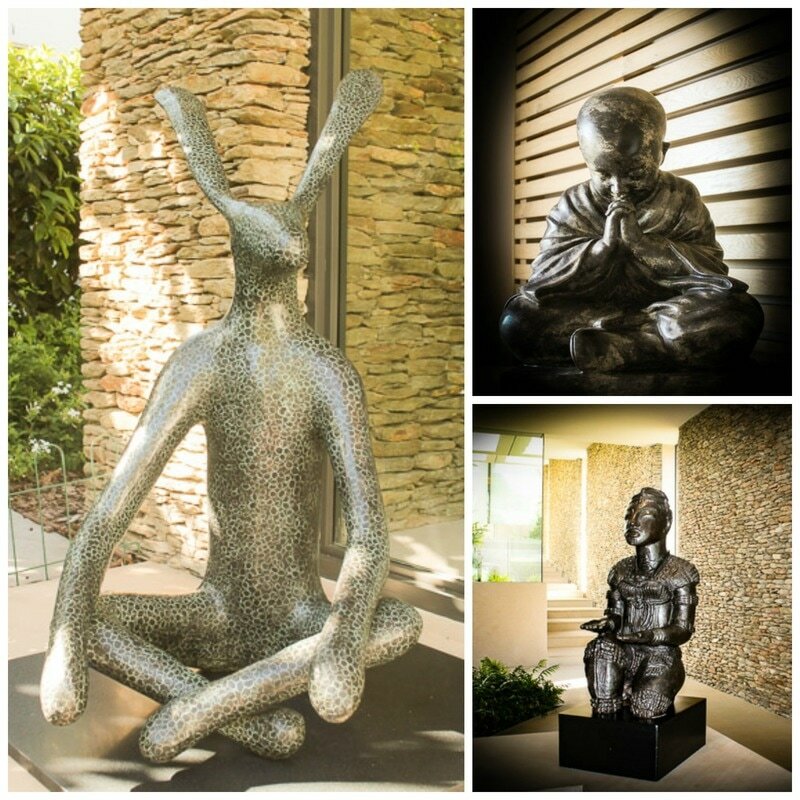 Both indoors and out, you’ll also see a variety of bronze sculptures, such as a reclining woman and a meditating hare, which add an artistic flourish. If you leave here feeling stressed or grumpy there’s no hope, as this is one of the best spa experiences we’ve had in a long time. The only disappoint we had was when we had to leave begrudgingly, knowing full well it would be difficult to find somewhere this special again. If you’re guest, a day here is the final icing on the cake. If you’re not a guest, treat yourself for an indulgent day – you won’t regret it. *During my stay I was hosted by the lovely team at the Leeu Estates. All views and opinions are my own. Leeu Estates is a breathtakingly beautiful wine estate featuring luxuriously appointed spacious rooms and suites in the Franschhoek region of South Africa, otherwise known as the Cape Winelands. The Dining Room located on Leeu Estates should be a destination in its own right for its sheer power to help you unwind as you indulge in fabulous cuisine, feeling slightly smug as you sip wine and enjoy the mountain views. Upon arrival (and weather dependent) diners are given the option of dining al fresco where they can sit on white rattan arm chairs sheltered from the sweltering sun by large white sun umbrellas, while gazing at views of sun-dappled vines or they can choose to remain indoors in the elegant dining room with its muted colour palette of taupe chairs complemented by dark wooden tables. ​Within the dining room, diners can appreciate the chic décor which has a variety of gorgeous decorative details to cast your eyes upon, such as three large wrought iron chandeliers, which made a striking impact against the ‘Cape Cod chic’ white wooden ceiling panelling. The only punctuation of colour in the dining room was the purple glassware on all of the tables, which added a bit of cheer and the striking, oversized African paintings displayed on the walls. As we sat in the dining room, taking it all in, we enjoyed the warm breeze from the glass, floor-to-ceiling patio doors, which were thrust open, providing a gentle breeze in the dining room - a welcome respite from the heat (it was 38C the day we visited). Everything here is pristine from the highly efficient service from the smartly dressed wait staff, who were friendly without being pretentious, to the immaculate décor. There were lovely small touches throughout our dining experience, such as a small stool, which our waiter provided for my handbag upon seating us. Why every restaurant doesn’t provide this for their diners beats me as it’s a simple, yet genius idea. For our starters, I had the chilled leek and potato soup with a parmesan and truffle croquette - a cool and refreshing treat. My husband opted for the steak tartare served with seeded bread and quinoa, which looked superb and given his plate was clean in about two seconds flat, I can only assume it tasted great as well. For my mains, I devoured the pea and parmesan risotto, which was exceptionally creamy and had a nice crunch from the fresh peas. My husband went for the king klip with puy lentils and shredded coconut (a local favourite), which looked amazing, but I can’t bring myself to eat eel! Dessert was a lemon tart with shaved ice lemon sorbet, which was sweet without being too heavy. The chef recommended a beautiful dessert wine to complement our dessert, which provided the perfect balance of sweetness to the tart of the lemon. After we’d finished our meals, we lamented that we didn’t want to leave and I can imagine that they have a very difficult time indeed convincing their guests to go home. This is the type of place that’s so calming you immediately throw your plans out the window to relax with a chilled glass of vino in hand gazing out over the vines. 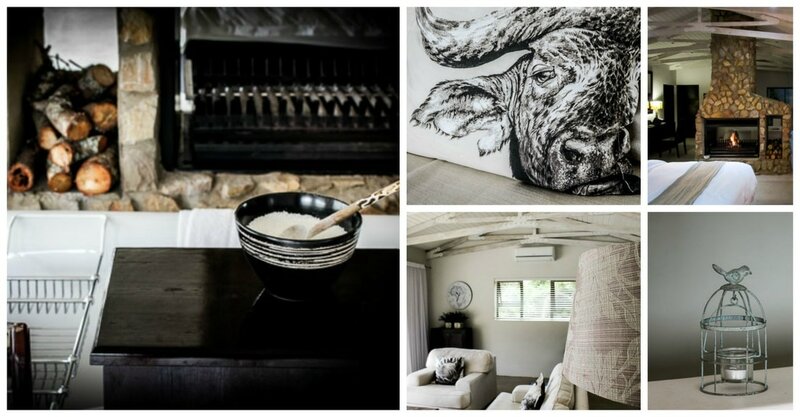 Hands down, this is a must-visit restaurant if you’re in the Franschoek region. 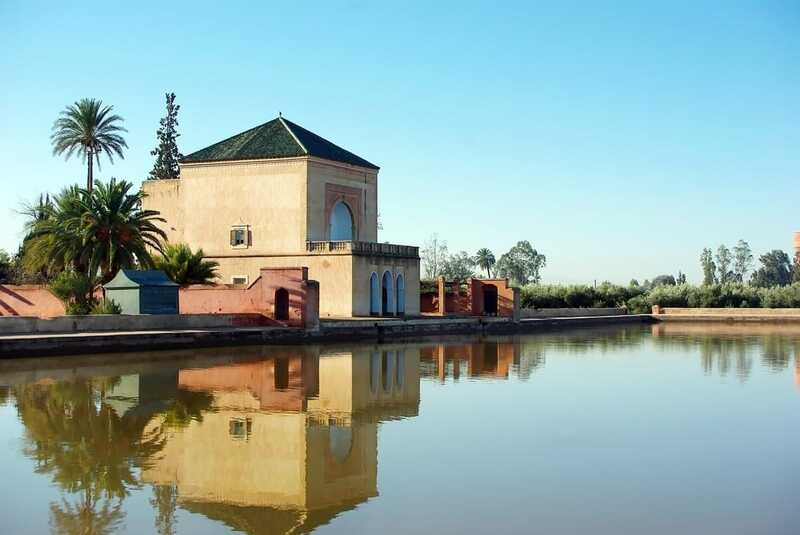 Marrakech is renowned for its stunning mosques and bustling souks. For those who want to enjoy the thrills of Marrakech without the hassle, a private jet makes the three-and-a-half-hour flight all the more luxurious. Flying privately eliminates check-in times, queues, customs and luggage carousels, allowing you to spend less time travelling and more time enjoying your holiday. 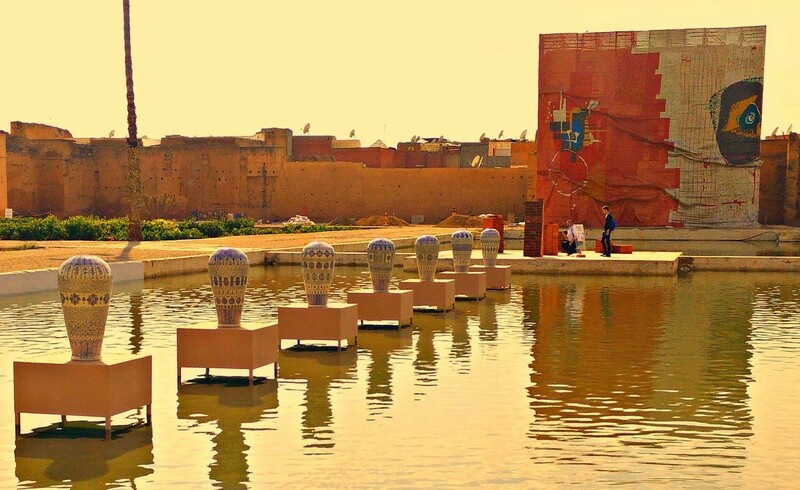 ​Marrakech is one of the busiest cities in Africa, with 18 souks selling wares ranging from traditional Berber carpets to modern consumer electronics. The vibrant metropolis has so much to offer: a range of museums, historical gardens, beautiful architecture and fantastic food, all mixed in with all-year-round good weather, meaning you can visit whenever suits you best. 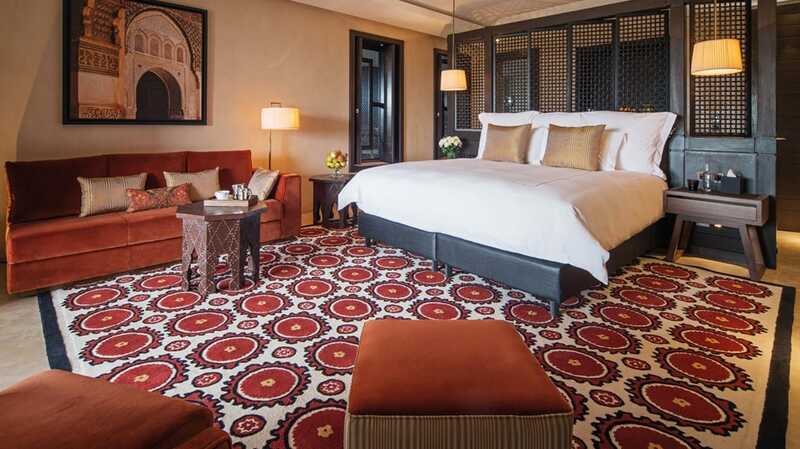 If you’re looking to stay in the lap of luxury, the five-star Mandarin Oriental, is divine. This centrally located luxury resort is within easy reach of the city’s most famous attractions. 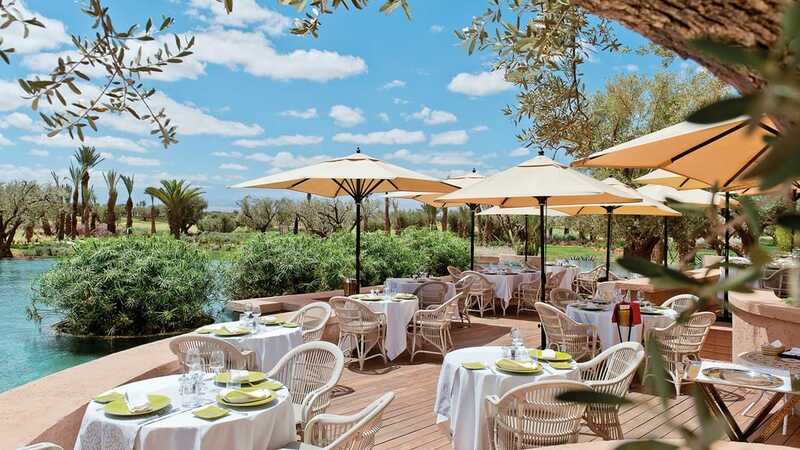 The hotel comprises 54 villas, nine suites, three restaurants and a stunning spa that is located outside the medina in a two-hectare rose garden. 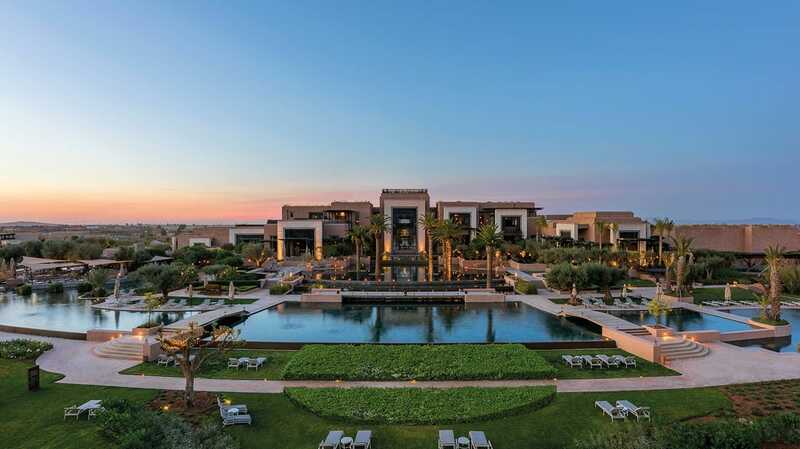 The hotel is renowned for its cuisine, from fine Moroccan dining to relaxed poolside meals, ensuring that its restaurants and bars are destinations in their own right. At Mes ‘Lalla traditional Moroccan cuisine is twisted with a contemporary edge by celebrated chef Meryem Cherkaoui and at Ling Ling by Hakassan fine Cantonese dishes and innovative cocktails are served with an eclectic soundtrack. 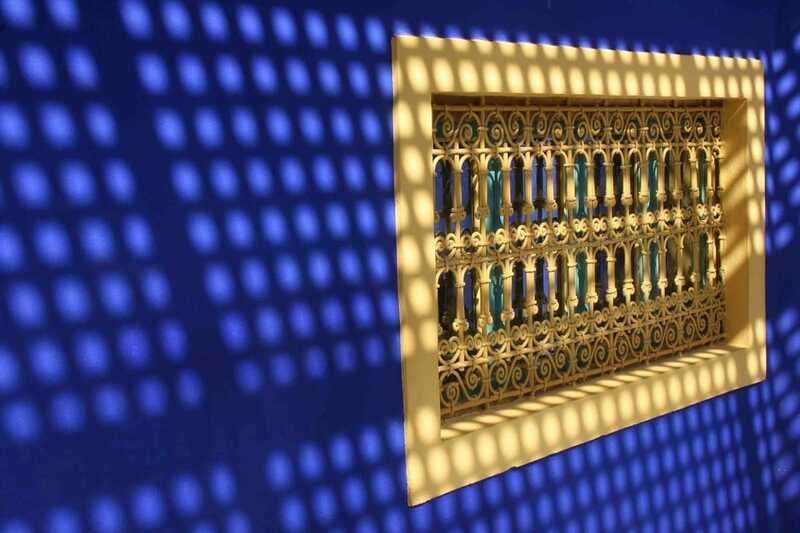 For those looking for a more authentic Moroccan experience, why not try out a riad? 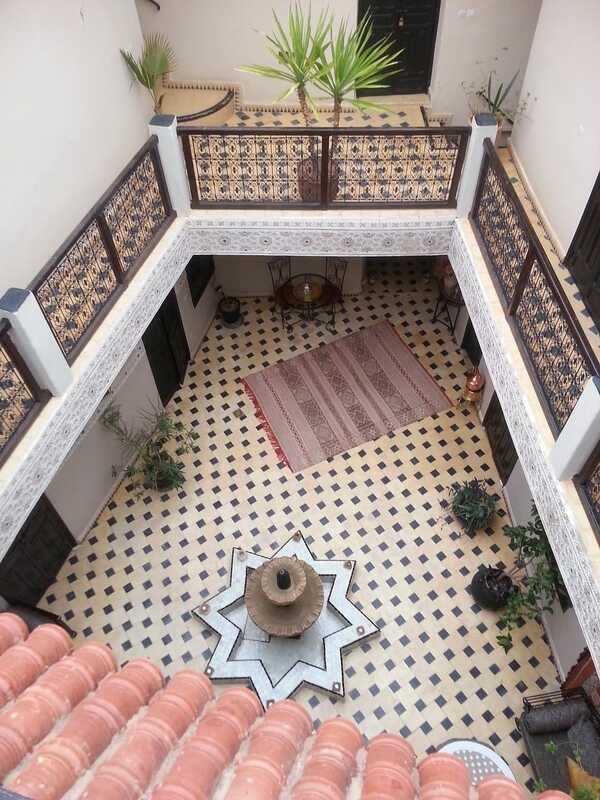 Riads are inward looking, Andalusian-style buildings centred on a courtyard with a central fountain. The Villa Des Orangers is akin to a secret royal palace, allowing guests to absorb Moroccan culture in luxurious splendour. Whatever you decide to see and do during your journey to Marrakech, flying via a private jet will make your trip all the more memorable. Situated in southern Tanzania’s Shungi Mbili Island Marine Reserve, Thanda Island offers exquisite tropical privacy for families and friends to enjoy on a sole-use basis. It has taken 10 years to discover and develop this remarkably uncommon destination. Off-grid and solar-powered, Thanda Island offers guests an environmentally sensitive, fun and restorative Indian Ocean experience in total seclusion. Comprising an expansive five-bedroom villa featuring an impressive glass rim-flow swimming pool and a huge indoor aquarium to rival its outdoor counterpart, it combines casual beach-house living with outdoor ocean adventures. The villa accommodates 10 adults, with the option of additional children sharing. Exclusive use of Thanda Island is available through Aardvark Safaris from US$10,000 (£7,150) per night, (minimum stay of 3-7 nights depending on the season). This all-inclusive rate includes a team of dedicated staff, boat transfers from Mafia Island and all the activities offered on the island, along with all meals and drinks including Thanda’s handpicked selection of wines and champagnes. 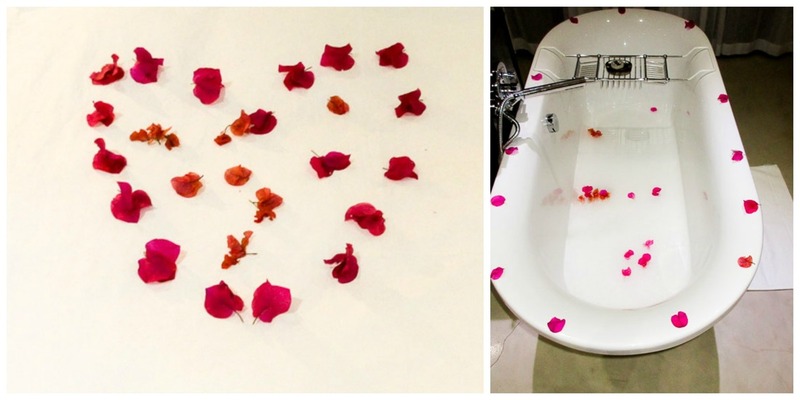 Spa treatments, diving, exclusive wines and champagnes are extra. Essque Zalu Zanzibar is a stunning boutique beach front property, nestled in a natural cove on the north east coast of Zanzibar. 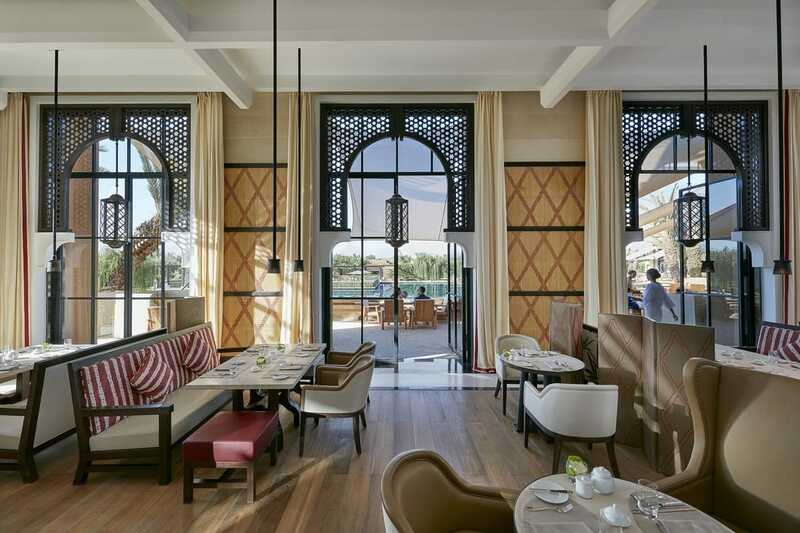 Featuring 40 suites and nine three and four-bedroom villas, three distinct restaurants showcasing local cuisine, and a stunning spa, the retreat already offers the bespoke, personalised service for which Per AQUUM is renowned. 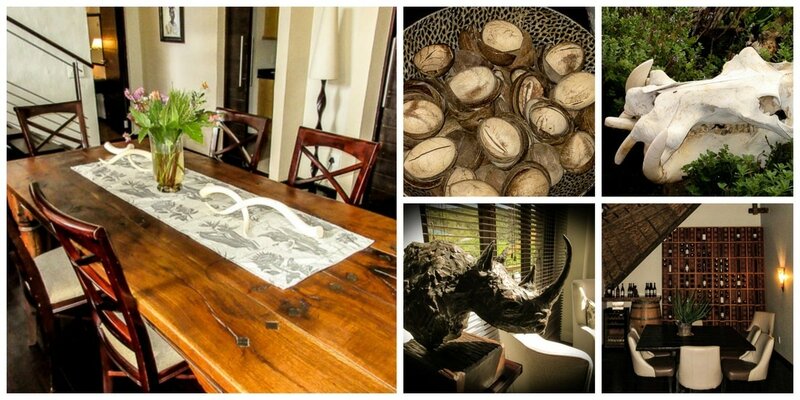 Available through Aardvark Safaris from £300 per night on B&B basis. ​Ready to book your escape to Tanzania? Search for offers from our trusted affiliate partner Booking.com. You'll not only find a great deal, but any booking you make using the search bar below will help contribute to the running of this site. Is there anywhere in Tanzania that you recommend? Connect with us to share your travel tips or to simply see where our latest travels take us. 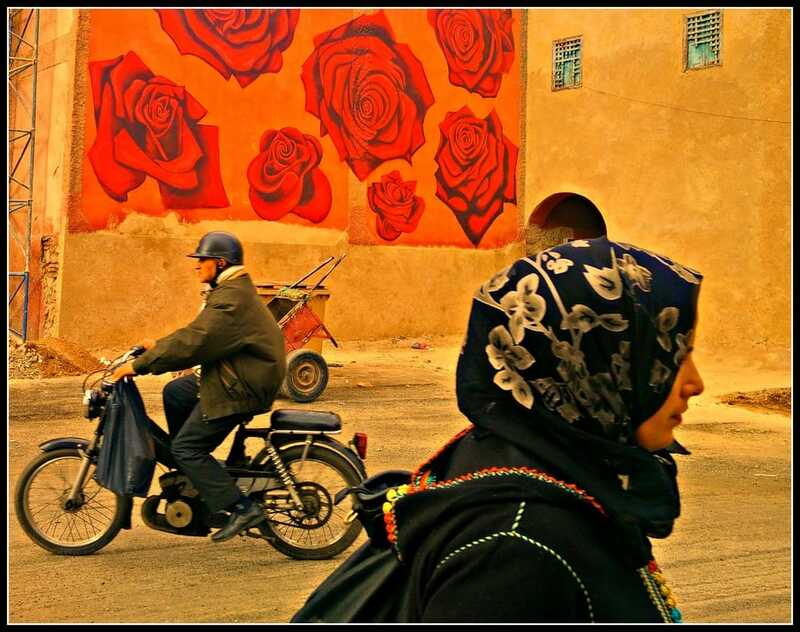 Are there any events in Morocco that you recommend? Connect with us to share your travel tips or to simply see where our latest travels take us. True Luxury Travel, a new luxury travel agency has announced the first 5 star safari and fit camp hosted by Broga founder Matt Miller in May 2016 at the Leobo Reserve in South Africa. The all-inclusive 7-night adventure isn’t your conventional yoga retreat. Safari based activities in the private reserve will be combined with daily yoga and fitness sessions as well as personalised food plans organised by Matt. Leobo is one of only a handful of sole-use private reserves in South Africa allowing guests full access to the entire estate and all of its facilities. Hosted by celebrity trainer Matt Miller, you will enjoy sunset yoga and sundowners overlooking the plains and in the evenings you will enjoy customised healthy gourmet cuisine by a top chef. Leobo combines adventure and thrills with flora and fauna. This is a luxury fitness safari like no other. Think quad bikes, helicopter flights, cross country Polaris buggies, sky diving, and night drives with military grade vision kit. You may not even have time for your complimentary massage. The lodge sits high on a kopje and captures from the moment you arrive with breathtaking views over the African savannah. Head chef Chris will produce outstandingly nutritional cuisine throughout your stay to compliment your exercise each day. Each morning, acclaimed trainer Matt Miller will lead optional boot camp sessions and running safaris. After an afternoon at your own leisure in the playground that is Leobo Lodge, Matt will host sunset yoga and sundowners overlooking the plains - the perfect way to start an evening of customised healthy gourmet cuisine. Not to mention the staff are a dream and it boasts a wine cellar stocked with the finest Cape vintages on tap. The all-inclusive seven-night trip starts at £2,500 per person (excluding flights). 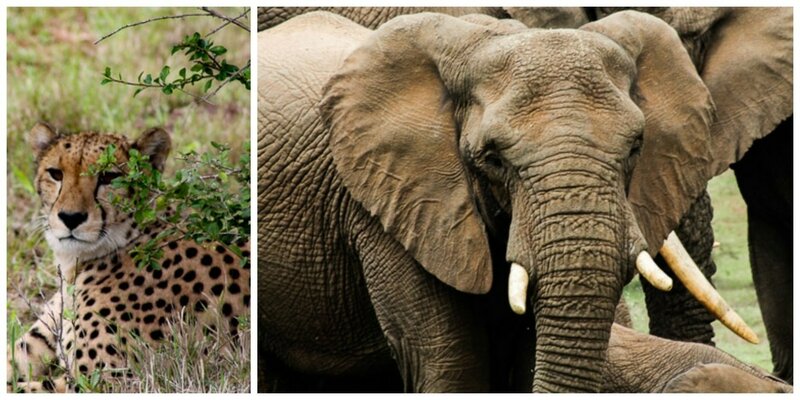 Africa has been making its mark in recent travel polls; Lonely Planet naming Botswana as the number one country to visit in 2016 and National Geographic has placed Uganda in their top 10 places to see the world’s wildlife. Home to a melting pot of exotic recipes from across the globe, there’s also another reason to take a bite of Africa this year and these traditional dishes picked by overland specialist Acacia Africa are bound to inspire the foodie in you. South Africa’s pleasing exchange rate makes the country ideal for Brits who have a budget sized travel itch. Grab a slice of culture on a Township tour and sample Bobotie - the South African answer to Shepherds pie. The twist? Add curry to the minced meat and instead of the usual mashed potato, treat yourself to a frothy custard topping. Like everything in South Africa, the traditional dishes cross borders and continents. The Namibian dollar is pegged to the South African Rand making the country another great value destination. With 11 different ethnic tribes and culinary influences from various countries, Namibia is another foodie fusion. A regular pit stop on the overland trail why not place your order at Joe’s Beer House in Windhoek and sample the best of Namibian and German cuisine. If you’re game for something exotic you’ll find ostrich, crocodile, springbok, and kudu on the menu and to really get into the spirit of African dining, you should sit around the open fire in the outside boma. Botswana is clearly one of the frontrunners for this year’s travellers, its 50th anniversary of independence scheduled for 30 September. If you’re travelling across more than one country in Africa, you may find that many of national dishes are based on meat and maize, and Botswana's ‘Seswaa’ is no different. The dish consists of a meat stew boiled with onion or pepper. The meat is then pounded heavily and served over thick polenta or pap with a leafy green called Morogo - known as African spinach. Go overland as you’ll have the chance to shop at local markets and maybe even learn how to cook this delicious meal en route. Zimbabwe’s new $150 million dollar Victoria Falls International Airport officially opened in December 2015 and the possibility of new direct flights is expected to be a “game changer” for Southern Africa as a region. While you’re visiting, you have to treat yourself to a heap of crisp-fried kapenta - one of the country’s culinary masterpieces. Regularly sold at street stalls, the dish is comprised of two species of small freshwater fish stewed with tomatoes, onions and groundnut powder. The tasty offering is often served with maize porridge (sadza) and an equal helping of greens. Using cutlery here would be a culinary faux pas, so scoop up the sazda with your hand and dip it into the fish. After suffering years of unrest, Mozambique is now a rising star on the budget travel circuit. From Vilankulos to Xai-Xai, the turquoise waters are literally teeming with marine life; giant manta rays, turtles, reef sharks, dolphins and the rare dugong on the list. A world in one dish, its heady blend of African, Portuguese, oriental and Arab recipes will definitely tempt your taste buds Sample fresh fish, prawns, calamari, crab, lobster, and crayfish from a street stall on the coast, add in some rice or fries (known as batata fritas) and dine on the sands while watching the sun go down over the ocean. ​Ready to book your escape to Africa? Search for offers from our trusted affiliate partner Booking.com. You'll not only find a great deal, but any booking you make using the search bar below will help contribute to the running of this site. Is there anywhere in Africa that you recommend? Connect with us to share your travel tips or to simply see where our latest travels take us.